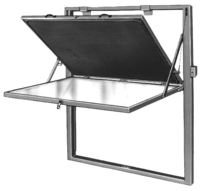 Exposure units are designed to provide consistent and precise exposure of photosensitive emulsion or capillary film coated screens. They often feature specialized lenses that provide consistent, linear lighting, and many are automated to speed up production and improve quality control. 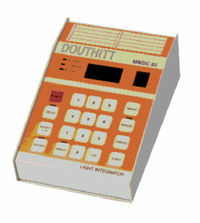 The DOUTHITT Model DMA is a direct method screenmaker with a self-contained printing lamp. It is safe, fast and easy to operate. 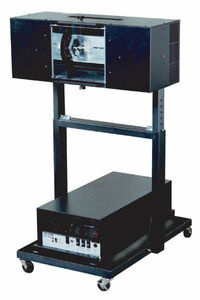 It includes a complete OLEC Olite AL23 metal halide printing lamp assembly and HF1 exhaust system. 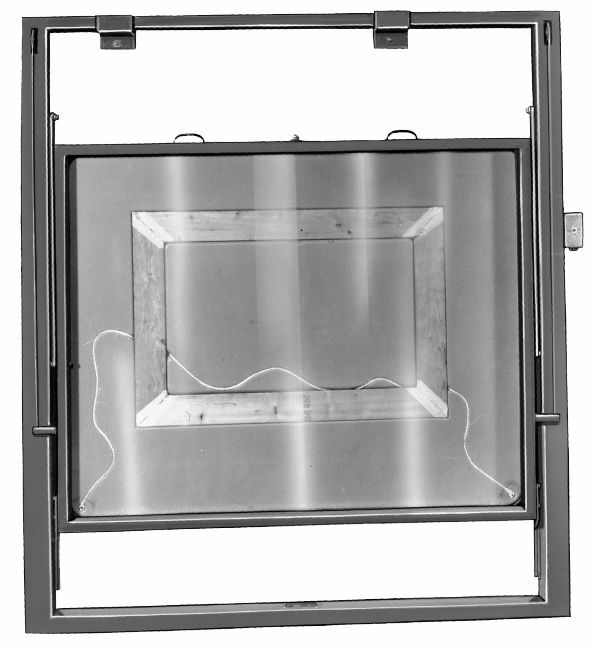 With the Model DMA, the integrated DOUTHITT “Deep Draw” Black vacuum blanket means there is practically no limit to the height of the screen. The blanket is secured to structural steel tubing and the blanket frame is raised and lowered via sliding toggle. 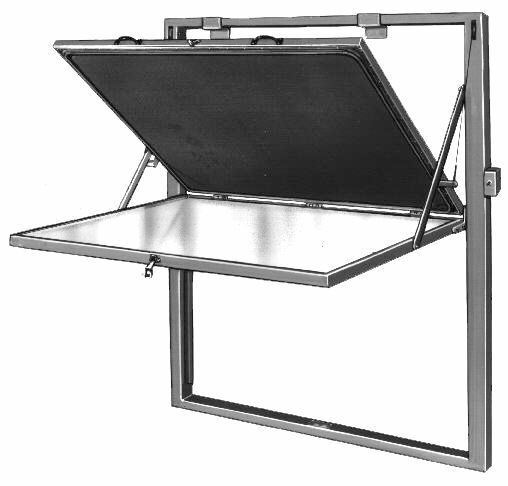 Additionally, the Model DMA is safe to operate, with a lamp shutter that cannot be be opened when the blanket frame is in a raised position, and automatic power cutoff when the front access door is opened. The DOUTHITT Model DME is a direct method screenmaker that includes a complete metal halide printing lamp assembly as well as a DOUTHITT Model MAGIC 83 10 channel memory combination light integrator and digital timer. 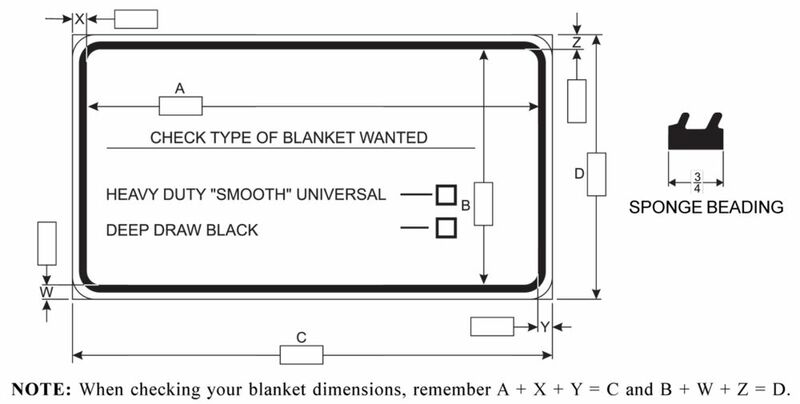 With the Model DME, the integrated DOUTHITT “Deep Draw” Black vacuum blanket means there is practically no limit to the height of the screen. Under vacuum, the blanket swiftly molds itself to the shape of the screen frame and holds the positive in perfect contact. The DOUTHITT Model DMH is a heavy duty self-contained screenmaker designed to provide the optimum loading height for large format screens. It enables completely automated operation, with vacuum delay and light exposure activated by closing the frame. 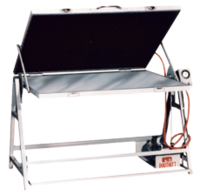 The Model DMH features a 5,000 watt metal halide printing lamp assembly complete with special exhaust system. Additionally, finger tip control of the blanket frame is achieved by an exclusive patented spring and fulcrum system that also clamps automatically. The integrated DOUTHITT “Deep Draw” Black blanket allows for virtually unlimited screen heights, and is designed to hold positives in perfect contact. 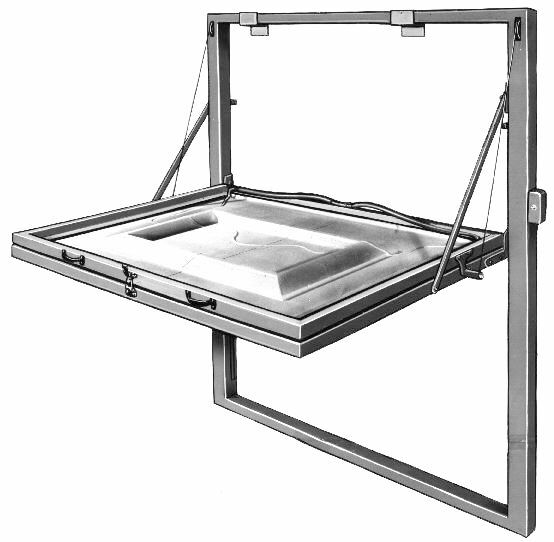 The DOUTHITT Model DMS is a free standing direct method vacuum frame screenmaker. It loads glass-down, blanket-up. A 360° rotor plate allows the operator to print from overhead, or two vertical positions: (1) away from operator and (2) toward operator. The integrated DOUTHITT “Deep Draw” Black blanket swiftly molds itself to the shape of the screen and holds the positive in perfect contact. 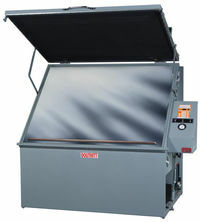 The DOUTHITT Model DMW is a wall-mounted direct method vacuum frame screenmaker. It loads glass-down, then tilts up to a vertical position for printing. Tilting is aided by counterbalanced sliding weights concealed in the side tubes. 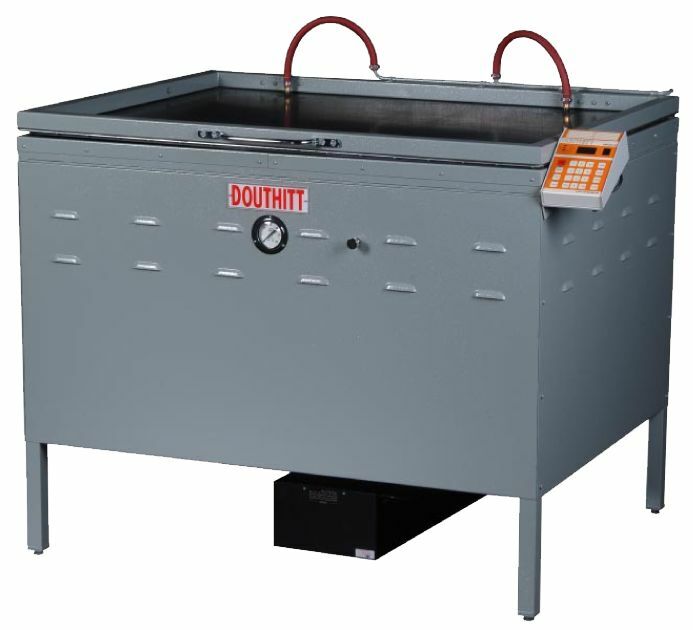 The DOUTHITT Model DMZ is a heavy duty automated direct method screenmaker that includes the DOUTHITT Heavy Duty Model MAGIC 83 10 channel memory combination light integrator and digital timer. 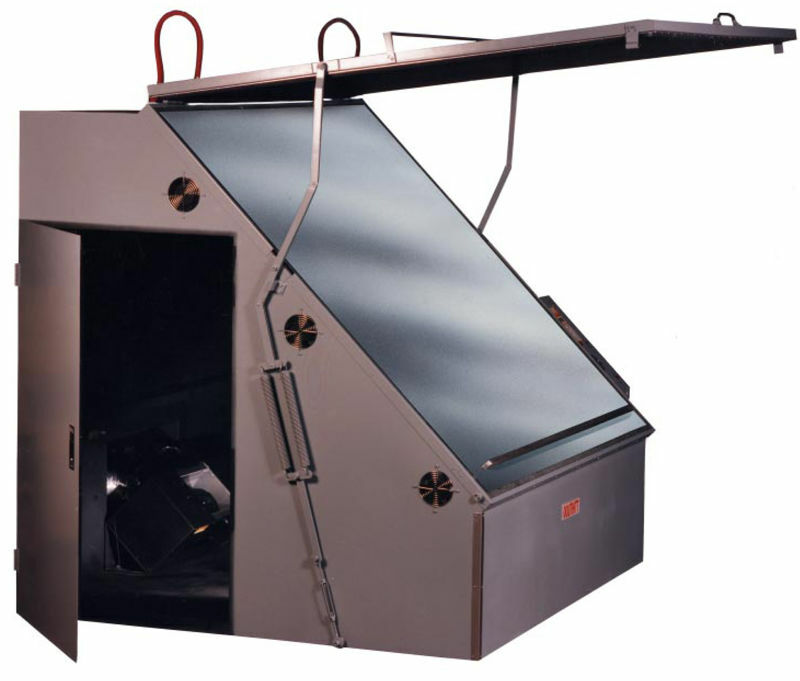 The Model DMZ features a self-contained 5,000 Watt metal halide printing lamp assembly complete with special exhaust system. Additionally, finger tip control of the blanket frame is achieved by an exclusive patented spring and fulcrum system that also clamps automatically. The integrated DOUTHITT “Deep Draw” Black blanket allows for virtually unlimited screen heights, and is designed to hold positives in perfect contact. An instrument panel is conveniently mounted on the side of the unit, complete with bleeder valve. 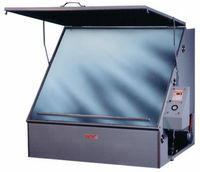 The DOUTHITT Model DMZ-T is a small format angled direct method screenmaker featuring a 2,300 watt metal halide printing lamp assembly complete with special exhaust system. 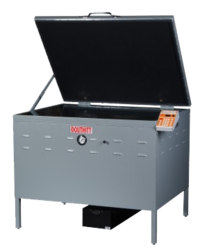 The integrated DOUTHITT Heavy Duty Model MAGIC 83 10 channel memory combination light integrator and digital timer allows for fully automatic operation along with the frame-closure activated vacuum delay and light exposure control. Finger tip control of the blanket frame is achieved through an exclusive patented spring and fulcrum system that also clamps automatically. Additionally, the Model DMZ-T features a large external exhaust assembly and a convenient instrument panel mounted on the side of the unit. The Model MAGIC 83 is a combination light integrator and digital timer. Variations in light affect the quality of exposed film, plates, screens or proofs. With microprocessor technology, this precision instrument automatically compensates for light variations by adjusting the length of the exposure to continually provide the correct amount of light. These integrators can also be set up to control vacuum draw down time to eliminate yet another variable. Olec Olite and Theimer Violux printing lamps are highly engineered precision devices available in a wide variety of configurations. Olite, Violux, and Violight bulbs are used in DOUTHITT’s expansive line of high quality exposure lamps. 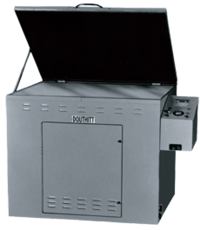 These OEM replacements ensure the consistency and continuity of your DOUTHITT-integrated exposure process. Designed for Direct Method screen printing frames, the DOUTHITT “Deep Draw” Black Blanket’s textured surface reduces drawdown time. Under vacuum, it swiftly molds itself to the shape of the screen frame and holds your positive in perfect contact.